Dubai’s art season isn’t just about admiring paintings at galleries. It’s also about exciting interactive workshops, classes and live entertainment – even for children. This year, the Sheikha Manal Little Artists Programme at Art Dubai has a schedule full of fun activities for little ones, so the whole family can make the most of their time in the city. At Art Dubai, children can create original cityscapes and inventive dreamlands at onsite workshops. Using found and recycled materials, little artists will weave intricate visual stories that reach deep into their creativity and ingenuity. This crafty session will show them the value of reusing and recycling objects, and the beauty of unordinary art materials. For more opportunities to get crafty, the Sikka Art Fair also offers family-friendly courses to inspire young Picassos and Monets. Art Dubai has designed special discovery tours for children of ages five to 17. These tailor-made tours invite young attendees to explore key pieces and installations around the fair. Led by UAE-based and international artists, the tours come with thematic activity maps and storytelling for an immersive and educational dive into the world of art. The discovery tours require pre-registration on Art Dubai’s website. Powerful dance and movement make Art Dubai’s Performance Art Programme engaging to viewers of all ages. There’s no doubt little ones will be captivated by the extraordinary visions designed by artists Marlon Griffith and Samson Young this year. Griffith’s piece pulls from Trinidadian carnivals and West African shadow puppets, starring 150 performers passing through the venue. Young’s performance reimagines the traditional Chinese lion dance with unusual sounds and music. There is no doubt children will enjoy the energy and colours of their work. Children can top off all the fun by dancing at live music performances. Talented DJs will bring dynamic beats that will get everyone on their feet, fitting seamlessly into the multicultural creativity celebrated at Art Dubai. DJ Alexander Nut with Zakia and Nabihah Iqbal with Zezi will play a diverse setlist of tunes stemming from the Middle East, Africa, South and Central Africa and South America. 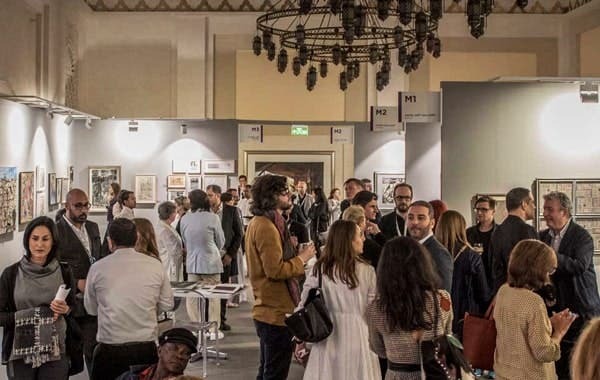 Check out Dubai Calendar for more information on Art Dubai.